‘Players are like a diamond that is chiselled by their own efforts, hard work & experience, and when the time comes, they shine like a gem in the country’s crown’, said Desh Bhagat University Chancellor and Chairman, Desh Bhagat Group of Institutes, Dr. Zora Singh. 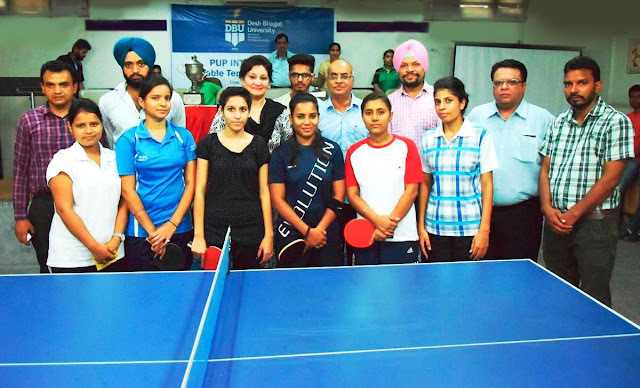 He was the Chief Guest on the final day of the three-day Inter College Table Tennis Tournament of Punjabi University, Patiala dedicated to Punjabi University’s table tennis player Late Parshant Bhatia. This tournament was held in the Air Conditioned Table Tennis (T.T.) Hall of Desh Bhagat Institute of Management & Computer Sciences. 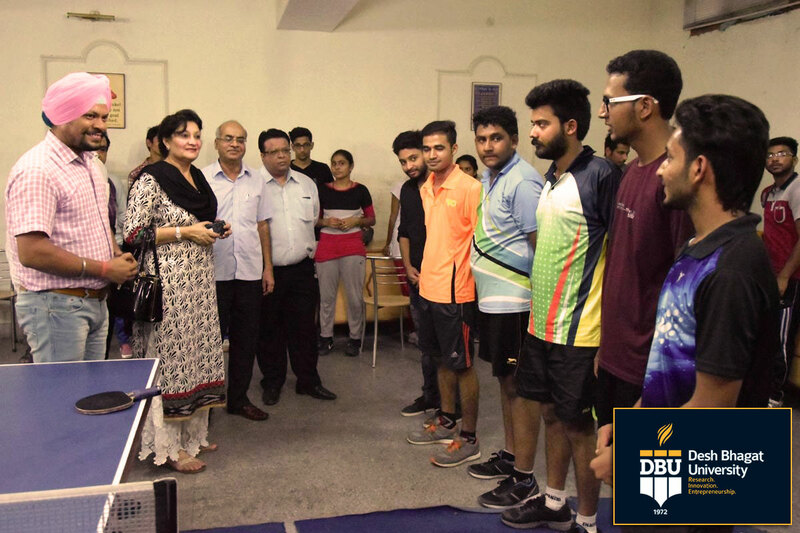 While speaking on the occasion university, University Vice- Chancellor Dr. Shalini Gupta appreciated all the teams for excellent performance and said that such sports events play a vital role in the all-round development of the students. The final matches of the tournament were particularly thrilling and breath-taking and players were struggling hard for even a single point. After tough finals in girls’ category, Khalsa College, Patiala beat Punjabi University, Patiala by 3-0. In boys category again Khalsa College, Patiala took the lead and beat M.M. Modi College, Patiala by 3-1. Overall trophy was given to Khalsa College, Patiala. 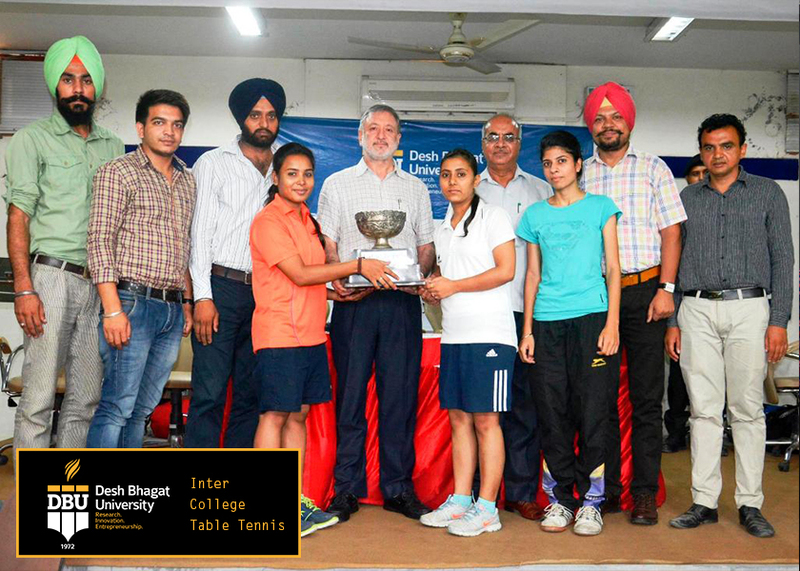 In boys, Manish Saini and in girls Neha Soni (both from Khalsa College) were declared best players. 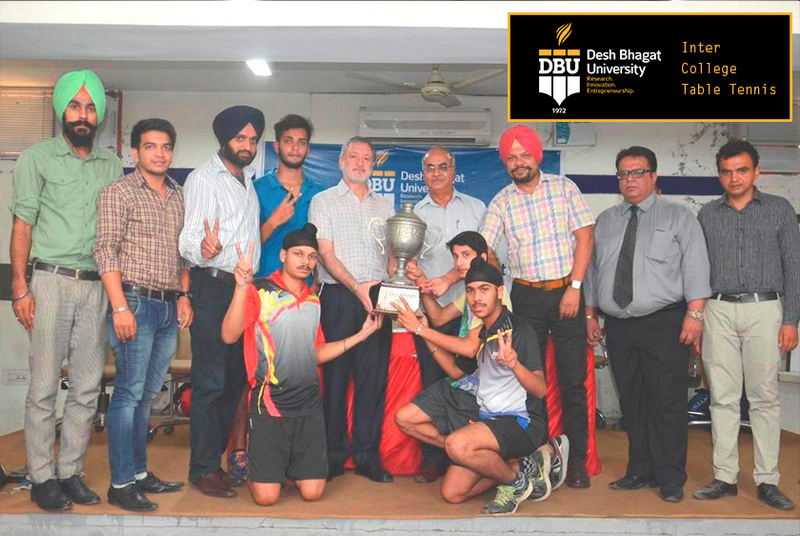 University Pro-Chancellor & Vice Chairperson of Desh Bhagat Group of Institutes, Ms. Tejinder Kaur presided over the Prize Distribution function and patted the backs of all the players, especially girl players for their excellent performance. Registrar Dr. Virinder Singh, Controller Examination Dr. I.S. Sethi and Director Faculty of Hotel Management & Tourism Amit Sachdeva were also present on this occasion. The tournament was organised under the supervision of sports coordinator Bhupinder Singh and Coach Nandan Singh. 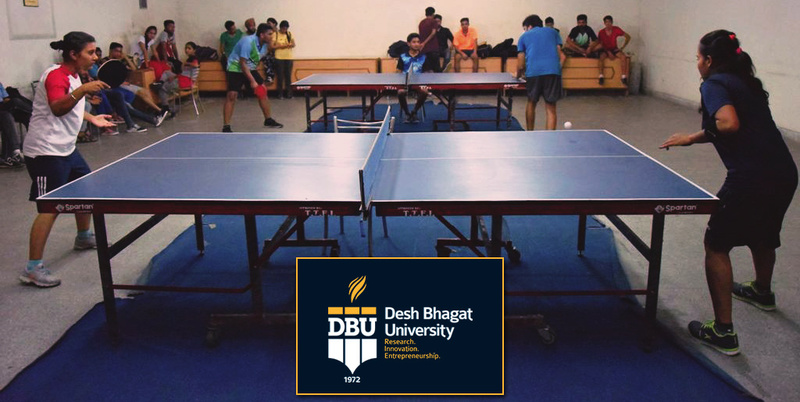 The Tournament was a source of great education and entertainment for the students and staff of the host college. 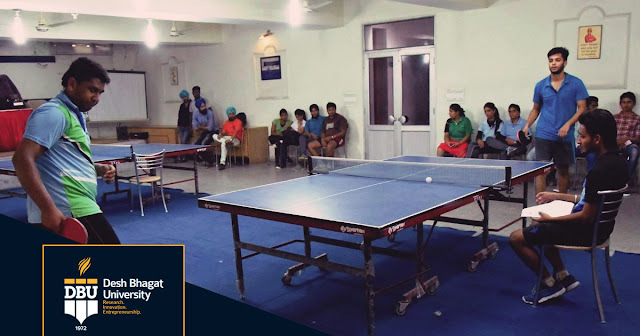 All the players and coaches of the teams including Punjabi University coach Princeinder Singh, Coach Nishan Singh (Modi College), Coach Gurpreet Singh (Khalsa College) and Coach J. D. Grewal (Mata Gujri College, Fatehgarh Sahib) appreciated the arrangements done by the host institute.